St Margaret’s displays several architectural styles. The top of the church tower is older than the bottom which you’d at first think was near impossible. A civil war cannon caused such extensive damage to the bottom of the tower that the belfry was made totally inaccessible until the lower section of the tower was replaced. The Church overlooks the estuary and is a great vantage point. It was rebuilt after having been destroyed by fire 1876–78. 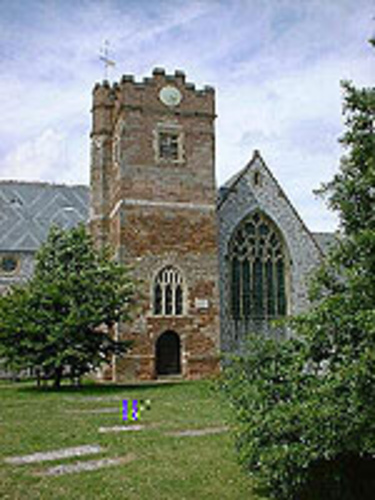 The main body of the Church is re-build number four and is of limestone. The tower is of red breccia and sandstone, the wall surrounding the Church dates from 1721. For more photos, see the 2010 visit. There is also a YouTube video.